Back in June, we ran a contest that asked our readers to put their graphics on-display by creating the next Droid Life logo. We received a ton of submissions, picked 12 finalists, and allowed you to vote on your favorite. When we tallied up all of the votes, we were left with a fine logo, but now we’re ready for something new. It’s 2011 and we have a big year ahead, so let’s start it off with a brand new look! 1. Design a new logo that you think we can use as our avatar, Facebook, and Twitter picture. 2. The dimensions of the it are simple yet important. Please submit 512×512 logos only. 3. We need the logo to include our color scheme which is essentially: black, pink, grey and white. 4. Once created, upload it to your favorite hosting site and paste it in the comments below. 5. We’ll allow logos to be submitted for the next 6 days (until 1/31). 6. On 1/31, we’ll take all of the submissions and decide as a team who wins. 7. A winner will be picked on February 1st and announced on the site. What do you win for creating our next logo? Since we love to give away goodies on this site, we thought we package up a couple of items for the winning logo designer. 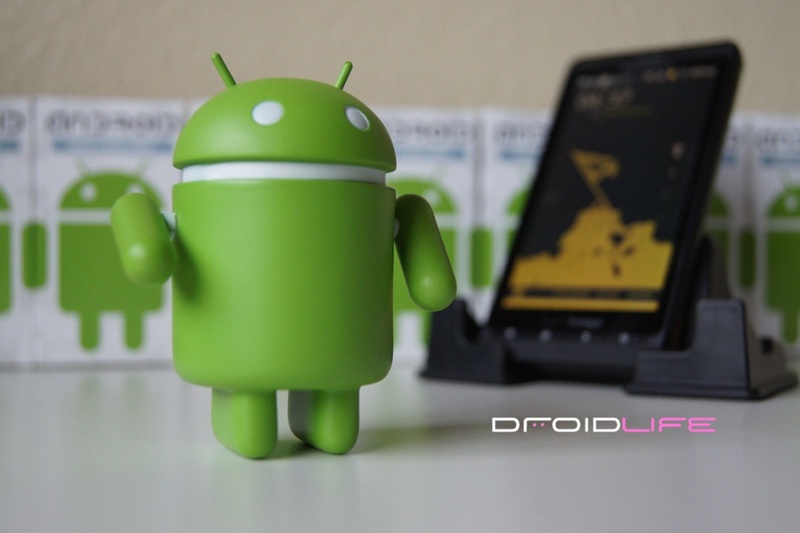 How does a brand new and unopened Android mini-collectible plus an ezeStand XL sound? All you have to do is create a logo that drives us wild and both items are yours! Tip: Our font is BN 3rd Place. Everyone ready? Let’s see what you can do!